ICD-10-CM is one of the biggest changes to hit healthcare in quite some time. ICD-9-CM is over 30 years old and cannot stand up to today's complex world of healthcare. Many coders, billers, and other staff members may be concerned with what to do first. I took five years of French in high school and college and could converse, read and write in it. As that is not a common language spoken in the US, I did not use it for many years. One day while working at a hospital, a call came in from a patient that spoke only French. We were working on getting the translator on the phone lines, and I put myself out there and stated my knowledge of the language. Well, once I got on the phone with her and she started speaking to me I realized I was in trouble. I spent 5 minutes on the phone saying "Un moment, s'il vous plait" (one moment, please) over and over and over until the translator got on the line. As fluent as I had been in the language, after not using it, it did me no good. For most coders and others that will use ICD-10-CM and ICD-10-PCS, it is too early to "dig in" and to learn the ins and outs of the code set just yet due to the use it or lose it principle as exemplified in my personal story. So where should you begin? Anatomy and pathophysiology will most likely yield the best return. Wikepedia defines anatomy as the branch of science concerned with the bodily structure of humans, animals, and other organisms, esp. as revealed by dissection. It defines pathophysiology as the study of the changes of normal mechanical, physical, and biochemical functions, either caused by a disease, or resulting from an abnormal syndrome. Basically, anatomy is the study of form and pathophysiology is the study of function. 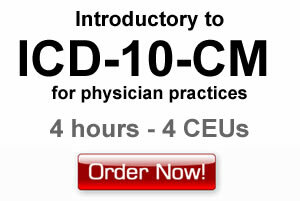 Having a good understanding of these will be most helpful in learning ICD-10-CM and ICD-10-PCS. ICD-10-PCS will replace volume 3 of ICD-9-CM for inpatient facility procedural coding. All ICD-10-PCS codes are 7 characters long, and in each section, the character value remains the same. Let's look at an example to see how a solid A&P knowledge will be necessary. 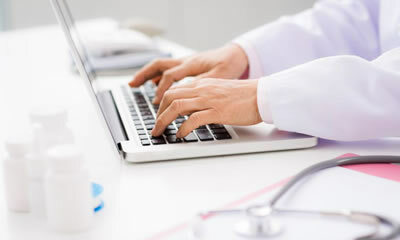 It is a series of tables in which you build the code to fit the medical documentation. EXAMPLE: An inpatient is taken for an Electrophysiology (EP) procedure. A physician performs a left heart catheterization with laser destruction of arrhythmogenic focus in the A-V node. The ICD-10-PCS code for this procedure is 02583ZZ. 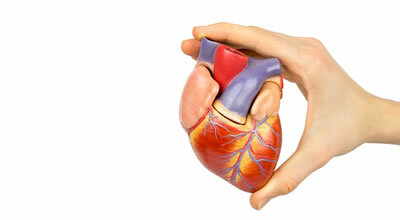 A-V stands for atrioventricular node. The A-V node is part of the conduction system of the heart, which also includes the sinoatrial (SA) node, the Bundle of His, the bundle branches, and the Purkinje fibers. Without the understanding of the anatomy, the coding of the case could be very difficult. In order to locate the correct code, you would have to look under "Destruction, conduction mechanism" to find the right table. ICD-10-CM will replace ICD-9-CM volumes 1 and 2. ICD-10-CM currently contains almost 70,000 codes. In most circumstances, the codes are more specific than in ICD-9-CM. There are many more combination codes than in ICD-9-CM. There are also codes that show laterality, episodes of care, and expansion of categories in comparison to ICD-9-CM. For example, in ICD-10-CM, there are different subcategories for lacerations, for wounds, for punctures, and for open bite. In ICD-9-CM, these are found under, "Wound, open, by site". A good A&P knowledge will help in ICD-10-CM also. Example: A physician documents a diagnosis of auricular thrombosis. In ICD-10 this would be coded to I51.3, Intracardiac thrombosis, not elsewhere classified. Would you be able to find it? You can't locate it in the alphabetic index looking under "thrombosis, auricular". Example: A woman presents to her the emergency department after falling and is diagnosed with a transverse fracture of the shaft of the left radius. No treatment is needed and the physician places the arm in a splint. In ICD-10-CM, we need to take into consideration whether the fracture was displaced or nondisplaced. In the case above, the fracture would be nondisplaced as no manipulation was necessary and the fracture was just splinted with no further treatment. The correct code in ICD-10-CM is S52.325A, Nondisplaced transverse fracture of shaft of left radius. In order to know what you need, you need to know what you know (or don't know). When was the last time you had an A&P or medical terminology class? Have you, or will you in the future, change specialties? Will you be responsible for ICD-10-CM coding, ICD-10-PCS coding, or both? 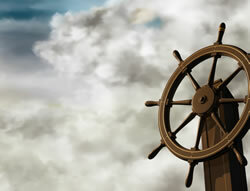 There are many avenues that can help you get where you need to be for ICD-10. If you are pretty confident in you're A&P abilities, then maybe you can pick up one of the A&P coloring books, or a medical terminology book, or A&P book from a book store. If you need a little more help, many local colleges offer A&P classes wither during the day or as a night class. If classroom is not your style, or you can't fit a set course in your schedule, consider an online course. AAPC (www.aapc.com) , for example, offers an online A&P course in modules that you can take at your own pace. There are many options available. Anatomy has not changed. 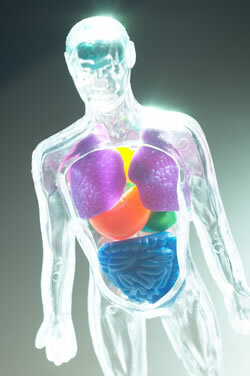 Our organs are still in the same place and still do the same things. But under ICD-10 we must look at them in a different light. So, now's the time to "bone up", so to speak. AAPC Physician Services (www.aapcps.com) Regional Director, Midwest Betty has over 23 years experience in physician coding, billing, and education in multiple different types of health care settings. She has worked with teaching facilities, emergency departments, and practices small and large. Betty has worked with multiple different specialties, such as Cardiology (Diagnostic, Cardiothoracic, and Cardiovascular), Dermatology, Plastic Surgery, and Family Medicine. Betty focuses on coding and billing issues of provider practices, both large and small.